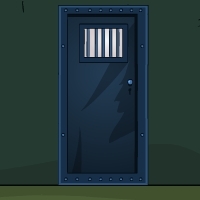 GenieFunGames - GFG Genie Abandoned Prison Escape is another point and click escape game developed by Genie Fun Games. You have enter the abandoned prison you are very interesting to know this kind of stuffs. When you step in side the prison all doors are locked its look like a trap but yes surely its a trap. All you have to do is open each and every door in this prison its leads you to the final door to escape remind this its abandoned prison anything may happy here so be careful. You can find useful stuffs and interesting puzzles clues symbols to solve everything and finally escape from the abandoned prison. Good luck and have fun! but it's a door game - as you may know, I just ♥ door games! A one-star rating is too high for this rubbish. I like these games and obviously, from the ratings, so do lots of others. Too bad some people have to say something negative than nothing at all. Too bad some people talk drivel. Too bad that you stop in the third room. I try to put the colors of the feather but nothing happens. However, nice and free games so do not talk badly! room one: you have a hammer, so look for the usual crack in the wall!